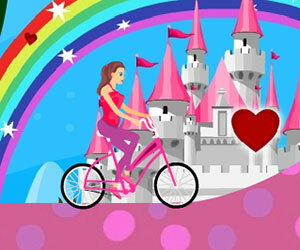 Miss Biker, bike game, Play Miss Biker Game at twoplayer-game.com. Usingthe arrow keys navigate miss biker through this tricky bike course. Collect the hearts and beat each level! Enjoy!